So you want to release an autobiography? And your dream is to sell two million copies within two weeks after the book’s publication? Also you want to have the most stunning portrait photo on the cover? And you intend to mesmerize millions of readers overseas too? No problem. Become a likable First Lady of the United States of America. Hang in there for eight years while advocating healthy nutrition and encouraging women and girls to achieve things. Then get the hell out of there and start writing. Oh, and make sure your name is Michelle Obama. It’s as easy as pie. What do the Germans read? They read Michelle Obama’s ‘Becoming’, “a work of deep reflection and mesmerizing storytelling”, according to Penguin Random House. Michelle Obama is the new Harry Potter, in the sense that the book hit America’s bookstores like a bomb. In America, it was the book of the year even before it was published, and probably even before she started writing. 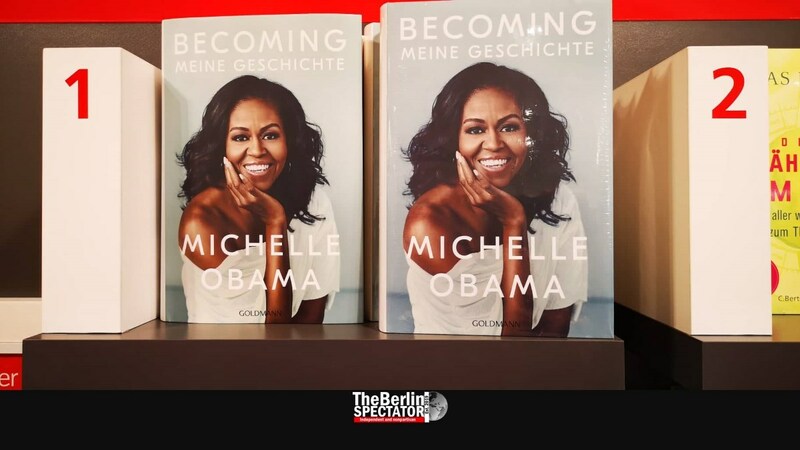 In Germany, ‘Becoming – Meine Geschichte‘, the German version, is the number one bestseller too and there are no signs this might change anytime soon. Many Germans, especially women, were and still are inspired by Michelle Obama, as if she had been their First Lady too. Guess which non-fiction book is the number 1 bestseller in the United Kingdom right now. It’s ‘The Fast 800: How to combine rapid weight loss and intermittent fasting for long-term health’. Yawn. Michelle Obama is on the sixth place. There is more: None other than Michelle Obama is coming to Europe for promotion events. They are selling it as an “intimate conversation” with her. No, it will not happen in bookstores, but huge arenas instead. In this regard, Michelle Obama is not like Harry Potter, but more like Tina Turner. Starting on February 8th, 2019, the former First Lady will tour half the U.S., from Tacoma to Milwaukee. Then it will be British Columbia and Alberta, across the northern border, before she will cross the Atlantic Ocean in a steel bird. To keep a long story short: No, she will not come to Germany, in spite of the German bestseller list sensation, but to Denmark, Sweden, Norway, the U.K., France and The Netherlands, before going back to Canada and the U.S.. Details about her tour can be found here. Does this answer the question what the Germans read? Yes, they read Michelle Obama. And no, because we still don’t know what else they read. 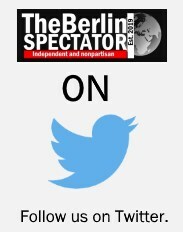 Michel Houellebecq, the French author and filmmaker, hit the first place in the German fiction department, on the ‘‘Spiegel Bestellerliste‘, with his novel ‘Sérotonine’. The Germans cut off the last ‘e’ avec l’accent élégant and made it ‘Serotonin’. A bit further down on the non-fiction list, we have the late Stephen Hawking and an interesting book entitled ‘Die Weisheit alter Hunde‘ (‘The Wisdom of Old Dogs’) by Elli H. Radinger who is a wolf observer and expert. She has written several books about those furry friends.